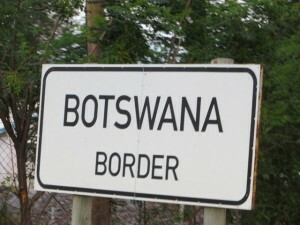 After a day off the bike in Mafikeng we cross in to Botswana. The border crossing is a breeze. We get our visas and pay our ‘road safety’ tax and we are in. The officials couldn’t be friendlier. In our first 200 ks on the road we are stopped at roadblocks four times and again there is nothing but smiling faces to greet us. We spend New Year’s Eve at Francistown but don’t see the New Year in. it’s been a long hot day on the road. You have to be on your metal at every turn because of the ‘wildlife’. 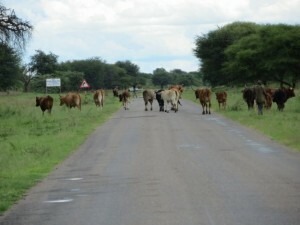 Goats, donkeys, cattle graze alongside the road and wander down the middle of the road. 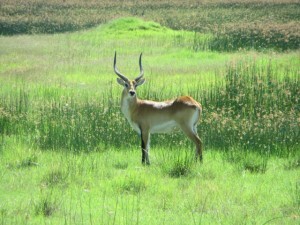 This feels more the ‘real Africa’ to us. People live as they lived hundreds of years ago. 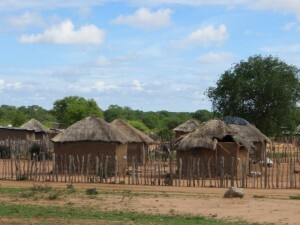 They build their fences from tree limbs and graze their animals on the roadside. 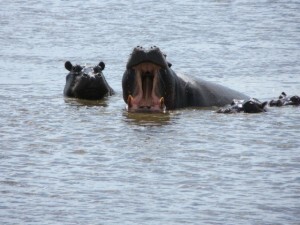 We get to Maun, on the edge of the Okavango Delta. 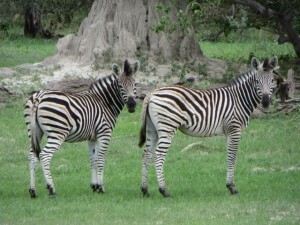 It’s from here that we take our first game safari into Moremi Game Reserve. 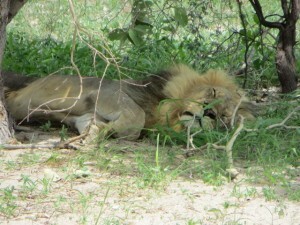 we planned to visit Africa we wanted to see the Big 5 – lion, elephant, buffalo, rhino and leopard. This is going to be our first chance to fulfil that dream. 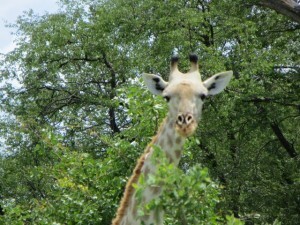 Before we even get in to the park we see giraffe. 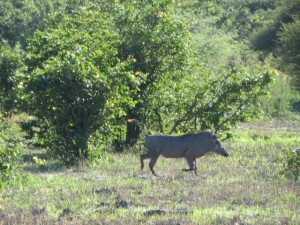 Warthogs - only a mother could love them! 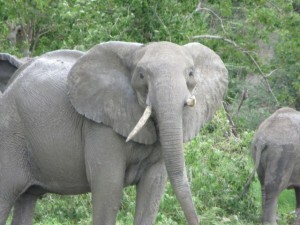 On our way out of the park we see elephants – big bull elephants and a family group with several babies. 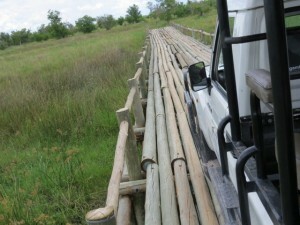 Rickety bridges are no match for the safari truck! It’s a long day and it’s uncomfortable at times as we bounce along the dirt roads but what a day. 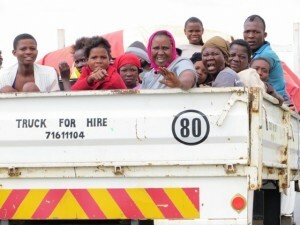 This is the Africa we dreamed of! Great to continue reading your reports from around the world. After Africa where to then ? Just keep well and keep the big GSA upright. Very nice great set of photos .